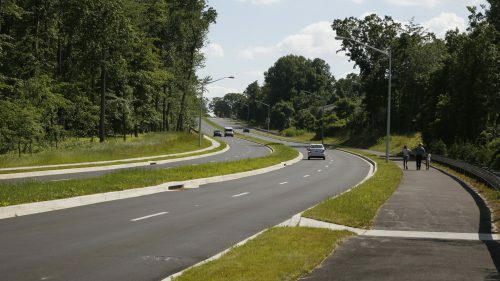 A structurally deficient bridge in New Jersey was replaced with aesthetically pleasing elements and added sidewalk and bikeway. 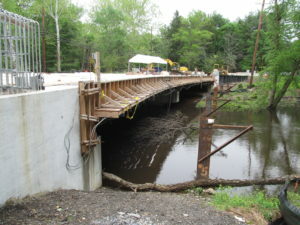 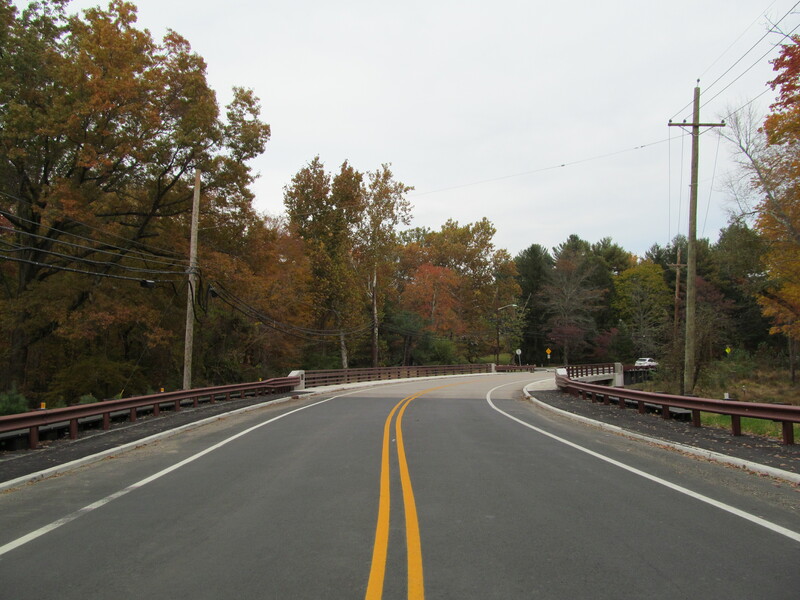 JMT provided engineering design services for the replacement of Cranbury Road Bridge over Bear Brook. 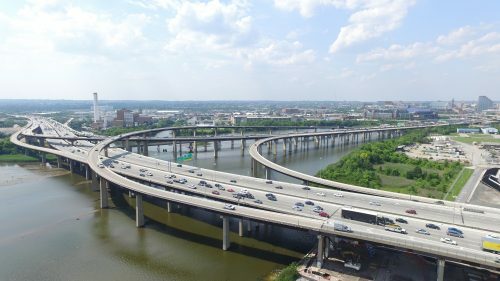 The existing four-span bridge, a simply supported adjacent prestressed concrete voided slab beam structure, was classified as structurally deficient due to the poor condition of the substructure, as well as functionally obsolete due to inadequate deck geometry. JMT designed a two-span continuous curved steel plate girder bridge supported by the full height abutments and hammerhead pier founded on steel H-Pile foundation. The brown color open steel four-bar bridge railing was designed to provide drivers and pedestrians a view of the scenic area. 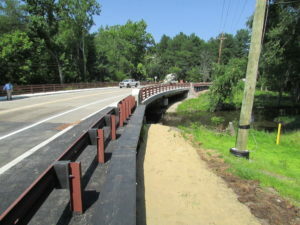 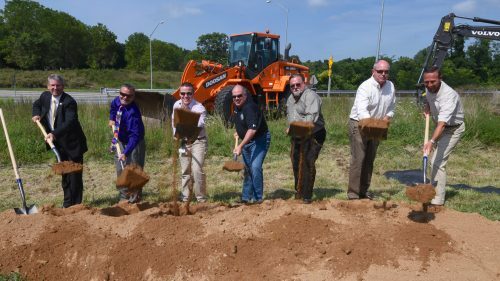 The bridge was also widened to accommodate sidewalks and a bikeway. 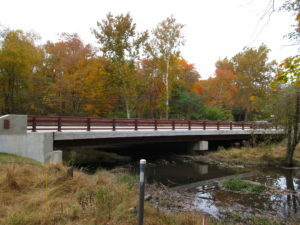 The project included full topographic surveys; boundary and right-of-way reestablishment; land records and deed research; developing a property and right-of-way plan; baseline and right-of-way surveys; establishing primary control points and secondary control points utilizing GPS and GPS RTK; roadway cross sections; stream cross sections; utility surveys; environmental and tree locations; developing alignment and survey baselines; developing existing profile grade lines; developing survey base plans with easement acquisition plans; legal descriptions for each area; and survey control base sheets. 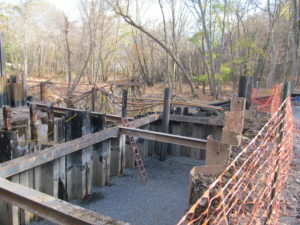 Additional services included a detailed analysis of the contributing watersheds and the development of hydrologic and hydraulic models, environmental permitting, preparation of Phase IA report for both the archaeological potential of the project area and the architectural history, roadway design, geotechnical engineering, constructability analysis, utilities relocation, community involvement, and construction services.